Manufacturers of medical devices, materials, and components use AES environmental test chambers to test many different items. These include: complex programmable pacemakers with micro-chip technology, laser surgery devices, in-vitro diagnostic products, diagnostic ultrasound products, x-ray machines, medical lasers, and many other items. 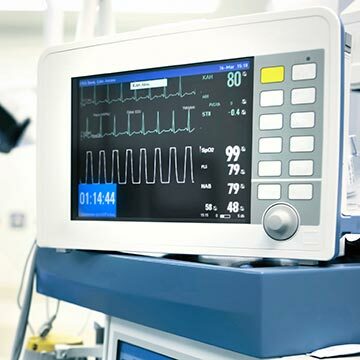 Manufacturers and distributors of medical devices must comply with stringent regulations and FDA (U.S Food and Drug Administration) standards. Some handheld medical devices use lithium-ion batteries, which are particularly sensitive to high temperatures and to moisture or high humidity. AES standard and customized environmental test chambers can test a large variety of medical devices in low/high temperature ranges, humidity variations, and salt spray.